Looking for something a little bit special in Carrick on Shannon? Our self-catering apartments are fully furnished and located in the heart of Carrick on Shannon, Co. Leitrim, just minute’s walk away from all the local amenities, pubs, nightclubs, shops and restaurants. We cater for Hen parties, Stag nights or just break’s away with friends that allow you to fully participate in all that Carrick on Shannon has to offer. 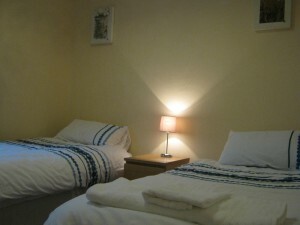 Apartments are comfortable, stylish, and perfect for a long or short break in Carrick on Shannon. Apartments are beautifully designed, fully equipped with all the comforts of home to make your stay as enjoyable as possible. Carrick on Shannon is one of the most welcoming tourist destinations. This is evident in the numerous vacation homes there. 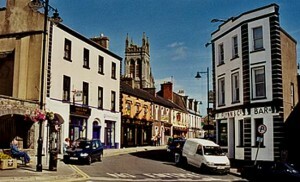 Carrick Central apartments are located near major tourist attractions in Carrick on Shannon. Providing an excellent opportunity to really immerse yourself in the local culture. No matter the season, you are likely to encounter rain in Carrick on Shannon. This is exactly what makes Ireland such a stunning green country. The summer months are the most popular tourist season as the milder temperatures make getting around and sightseeing much easier and with Ireland’s unpredictable climate, Carrick on Shannon caters for those days that you would prefer to be indoors. Choose from karting, swimming, bowling, art classes & exhibitions, theatre, fun filled puzzles and our award winning cinema which will keep you and yours well entertained. So why not treat your family or friends to the best city centre accommodation Carrick on Shannon has to offer.For more information call us on 0868213698, 0879046490 or email us via the contact page and let us take the hassle out of your trip, we can organise everything you need to make your stay in Carrick on Shannon a brilliant weekend!